Chhattisgarh Public Service Commission (CGPSC) has issued a latest recruitment notification to fill up 57 Homeopathic Medical Officer Posts. Candidates who are passed BHMS Degree or its equivalent from recognized University they can apply online mode before the last date. 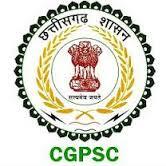 Aspirants also check other details related to Homeopathic Medical Officer recruitment notification 2017 like how to apply, selection process, education qualification, salary, model question papers, syllabus, question papers and more details check at CGPSC official site.